Back in the summer of 2011, the International Olympic Committee (IOC) selected PyeongChang, South Korea as the site for the XXIII Winter Olympic Games, which take place over the 17-day period February 9th – 25th, 2018. I often wonder… had the future been revealed to the IOC seven years ago, would the Games have been set down on the Korean Peninsula, where North Korea’s leader, Kim Jong-un, has made a vivid display of his nuclear ambitions to the entire world? Surely the Winter Olympics require no extra drama… the Games themselves will provide plenty of that with ninety nations sending 3,000 athletes to PyeongChang to compete in 100+ sporting events across fifteen different disciplines. And crowning it all will be the opening and closing Olympic ceremonies, as well as all the other celebrations in which 300+ medals will be awarded to the greatest athletes in the world. 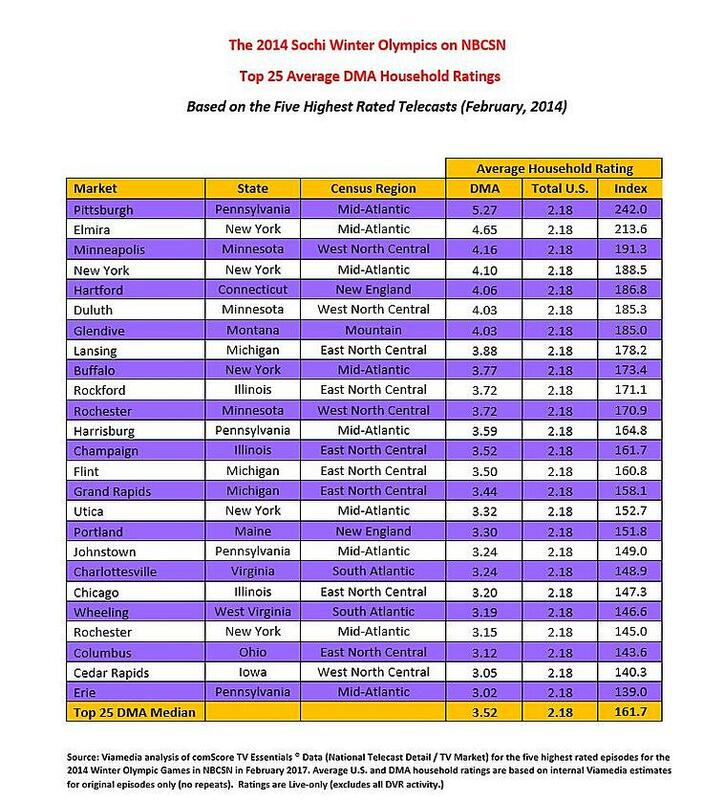 More Cable Programming Than Ever Before! 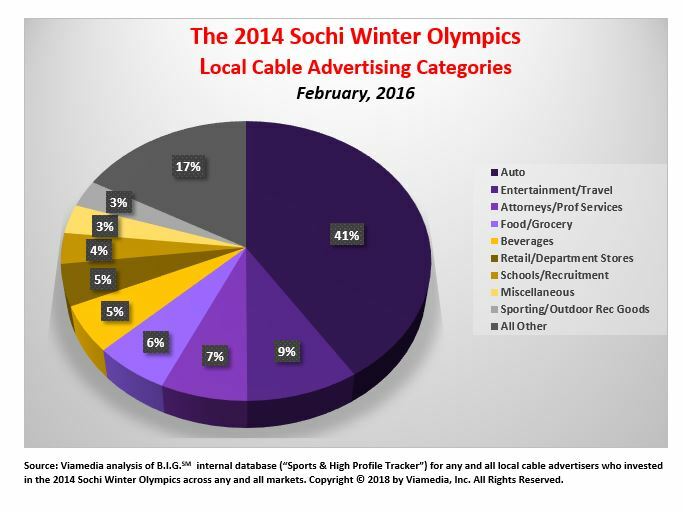 Not to be outdone, ad-supported cable will air 450 hours of Olympic programming from PyeongChang — an increase of 25% from the 2014 Sochi Games. NBCSN will once again carry the bulk of Olympic programming (360+ hours), and for the first time the network will be telecasting live in primetime throughout the Games. 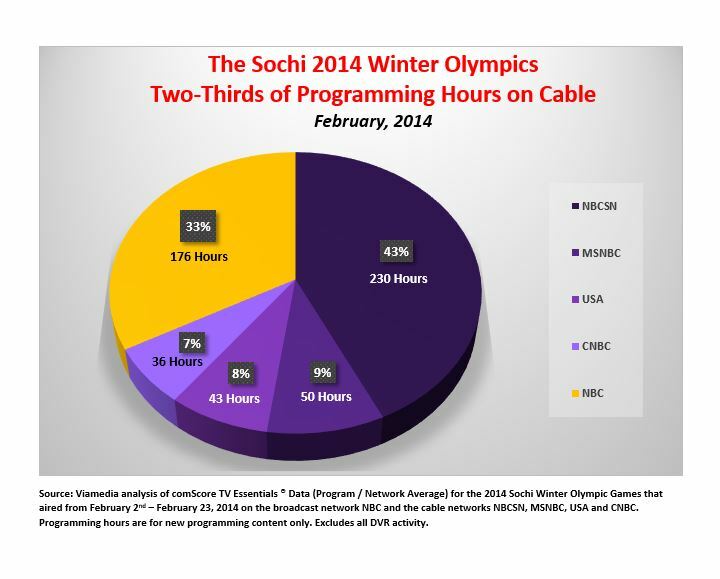 As of this writing, the 2018 scheduled events for each cable network have not yet been set, but based on the 2014 Sochi Winter Olympics it’s a good bet you’ll see a variety of Nordic skiing events, as well as speed skating, figure skating and curling. 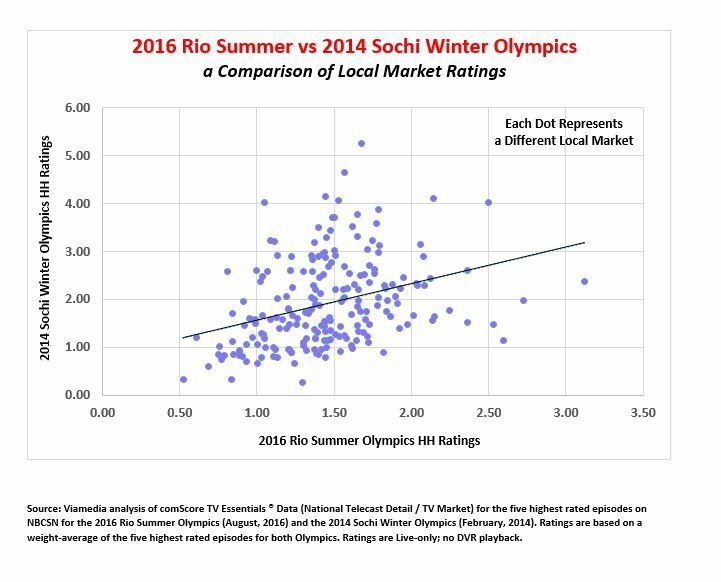 Of some note is the fact that there is a significant divergence in local market appeal between the Winter and Summer Olympics. 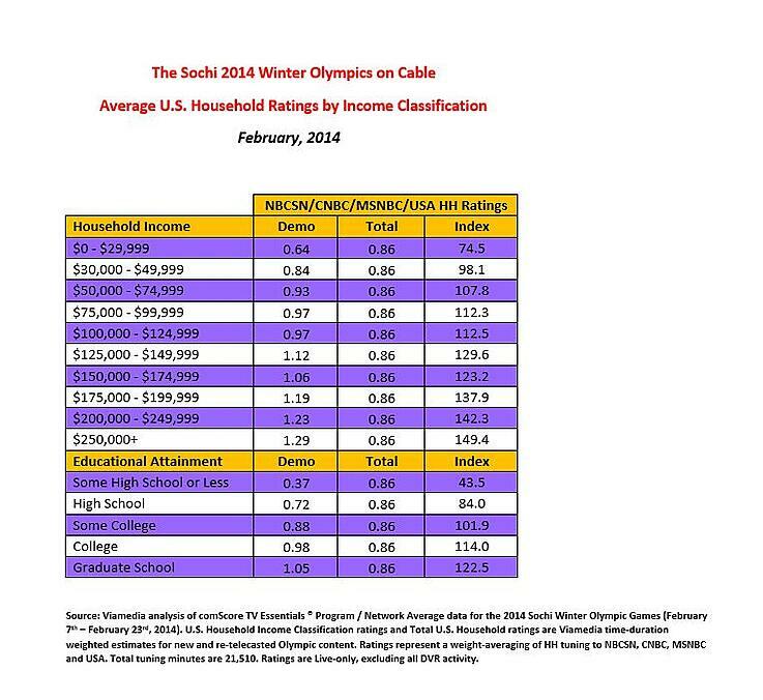 Both attract upscale audiences, but they are not concentrated in the same markets. 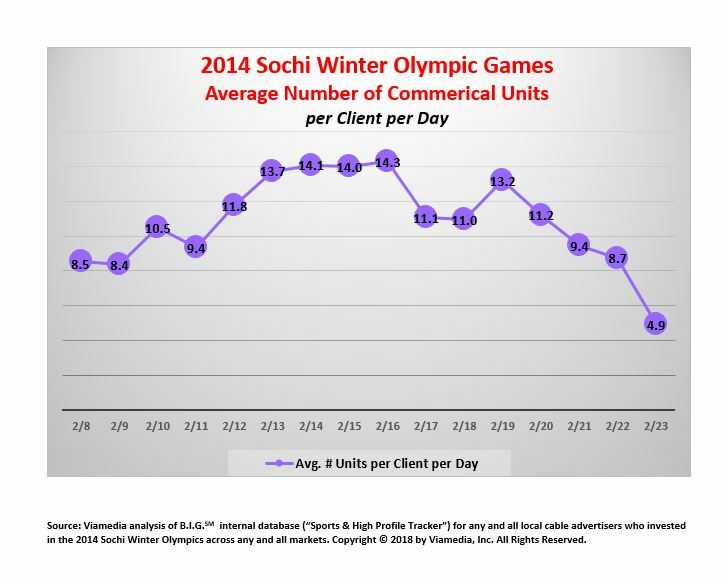 In looking at the Top 25 DMAs from the 2014 Sochi Winter Games, there are only three markets in common with the 2016 Rio Summer Games. 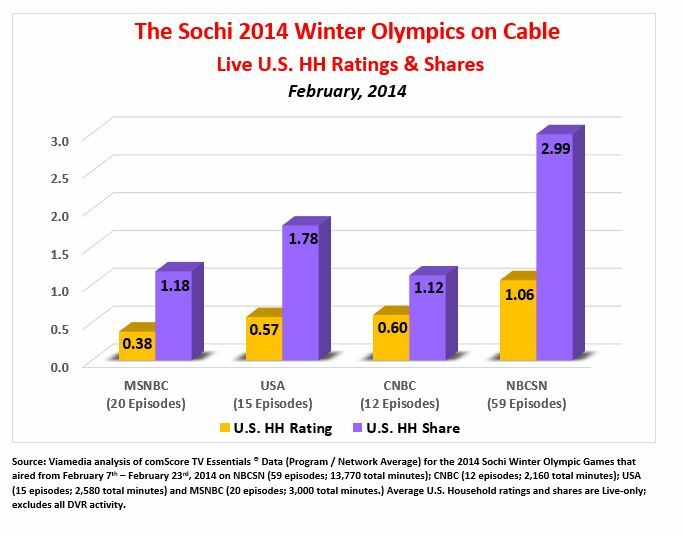 Moreover, the 2014 Sochi Games had only one western market; in sharp contrast, the 2016 Rio Games had a very strong western market skew with eleven DMAs located in the Mountain and Pacific U.S. Census Regions! The Olympics are often referred to by the name of the host city or town; thus, London 2012; Sochi 2014; Rio 2016, etc. But PyeongChang is neither a city nor a town… it is in fact a county, and the Games are actually taking place in the township of Daegwallyeong-myeon (that is not a misspelling), and the coastal city of Gangneug, snug up against the Sea of Japan. According to Wikipedia, the close proximity of the two areas (with their respective sporting venues) was a key reason for choosing South Korea for a second time (the first being the Seoul Summer Games of 1988.) And for two-and-a-half-weeks in February, this very small corner of the Korean Peninsula – less than fifty miles from North Korea — will be the scene of intense athletic drama that will attract the attention of viewers from around the world. Let the Games begin… in peace!